Widnes academy graduate Dan Norman has signed a new one-year contract with the Vikings. 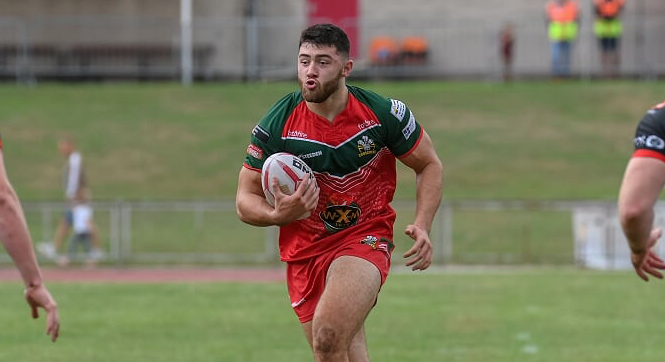 The 20-year-old has been with the Vikings since the age of 16, progressing through the academy ranks to make his Super League debut back in June. Norman has spent most of the season with League 1 club North Wales Crusaders on dual-registration and has impressed for the Welsh outfit. On his new deal, he said: “I’m made up. “I’ve been here since the Academy, so about four years now, and I couldn’t think of anywhere I’d rather be. “I’ve got some great friends here, and I really get on with all of the lads. Seeing some of the young lads step up to the first team really motivates me, and a lot of the academy lads look up to the likes of Danny Walker and the Chapelhow twins. Norman’s debut came away to Salford Red Devils and Norman was delighted to play his first Super League game. He added: “I was in the 19-man squad and Stef pulled out injured in the warm-up, so I didn’t have time to dwell on it and I was straight in there.